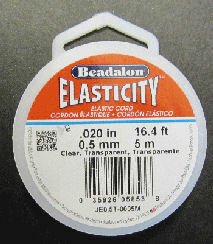 Top quality Beadalon wire, nylon coated to protect your beads. 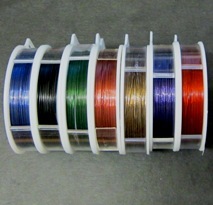 Coloured copper wire from The Scientific Wire Company. Great for moulding into shapes. 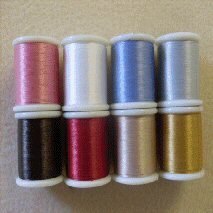 A good range of beading threads, including Nymo, KO and a pre-threaded silk cord great for pearls. 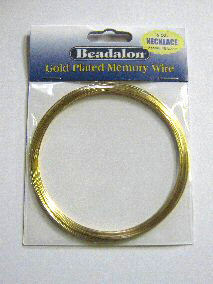 This stainless steel wire 'remembers' its shape so retains its coiled form (does not drape). Corrosion and tarnish resitant. Excellent for beginners and children.